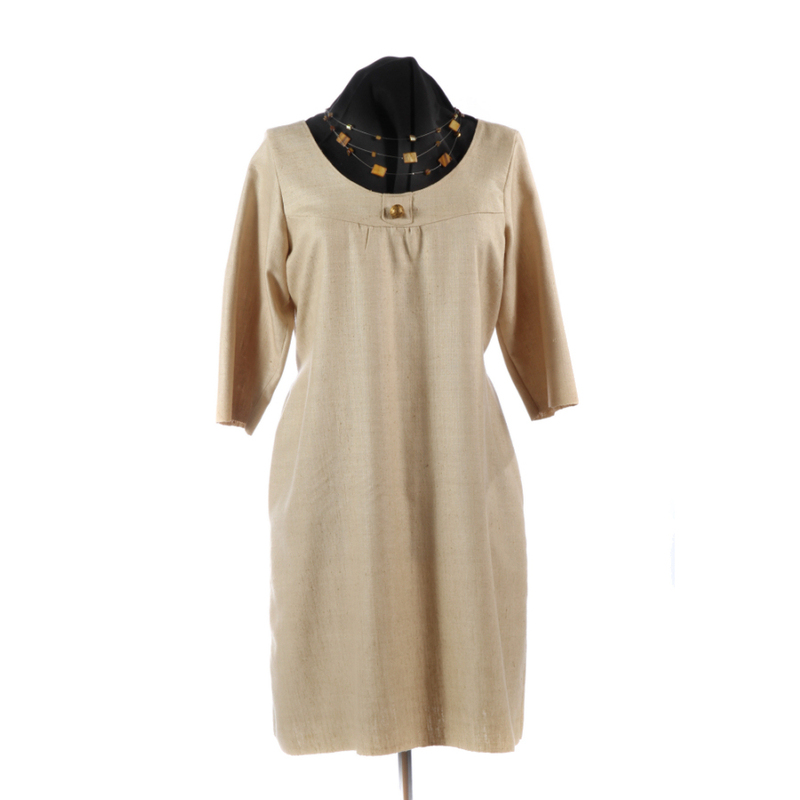 A 100% natural linen cream dress with tie belt fitted sleeves and antique button on front flap, loose and comfy. 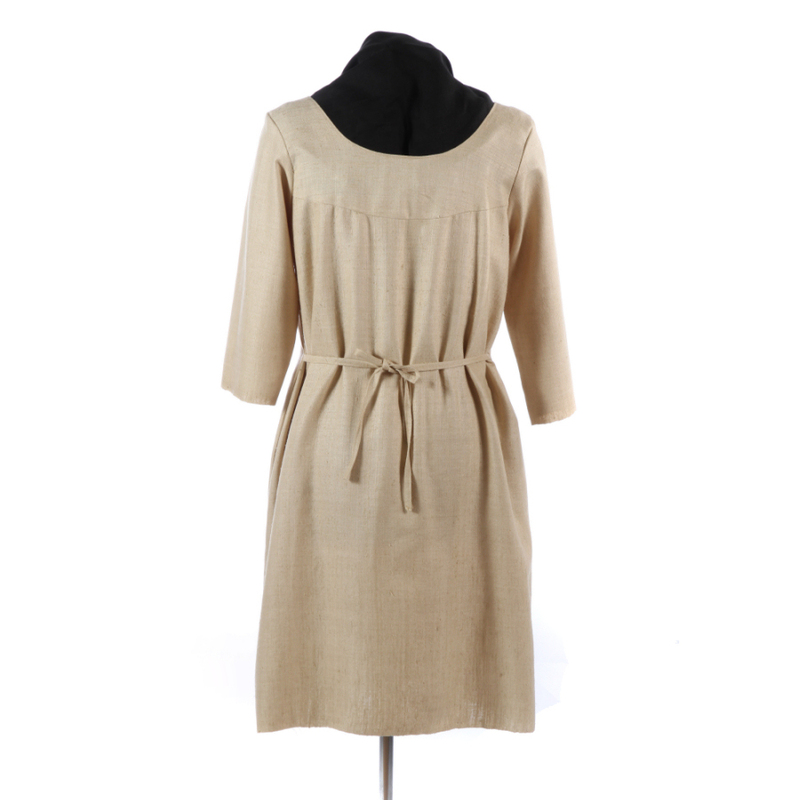 Linen Dress Cream, Linen is a natural fabric, it is one of the worlds oldest fabrics and is made from the Flax plant. The Flax flower grows, it is usually blue or white. When it dies down the stem holds the fibres which are taken out and put through a process to then produce the fibre for weaving the linen thread. This is then turned into fabric. Linen is 100% bio-degradable. A very good reason to use. It is far superior to cotton. It is ranked with other natural fibres such as silk, wool and cashmere. 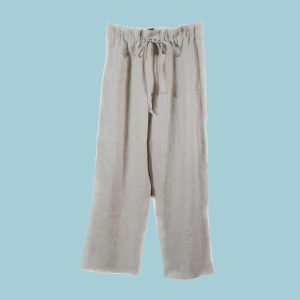 Linen is used because of its natural properties. It is thermo-regulating, keeps you warm in winter and cool in summer. Linen also can help to keep UVA rays away, so can protect you from harmful sun rays. 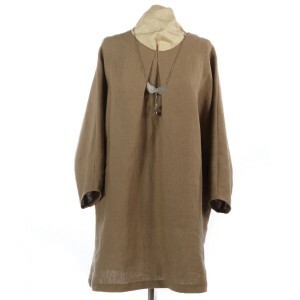 This little linen dress is loose fitting, has a wait tie belt and round scooped neckline, it has long sleeves, is unlined all seams are overlocked. 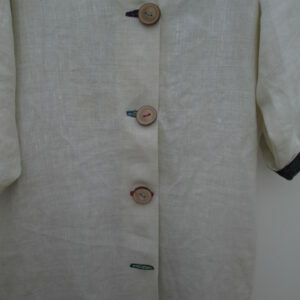 Antique Retro buttons set at the front. This dress can also be made in any of our other linens too see other products and our linen fabrics on our website. info on Bed Linen pure linen fabric made in the U.K.